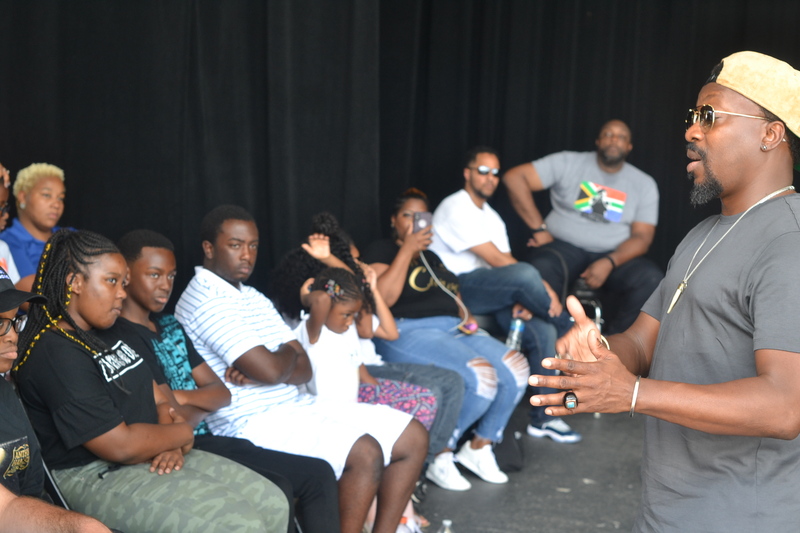 Anthony Hamilton invited some children from Steve Harvey Foundation, YMCA STEM/Arts Youth and Kidz Mic kid interviewers to spend a day with him and his production team and to see first hand how musical concerts come together. This is a great initiative to spark curiosity and gain more knowledge of information in STEM/Arts and up close interaction for the children to ask question and maybe even inspire them to have a career in either field. 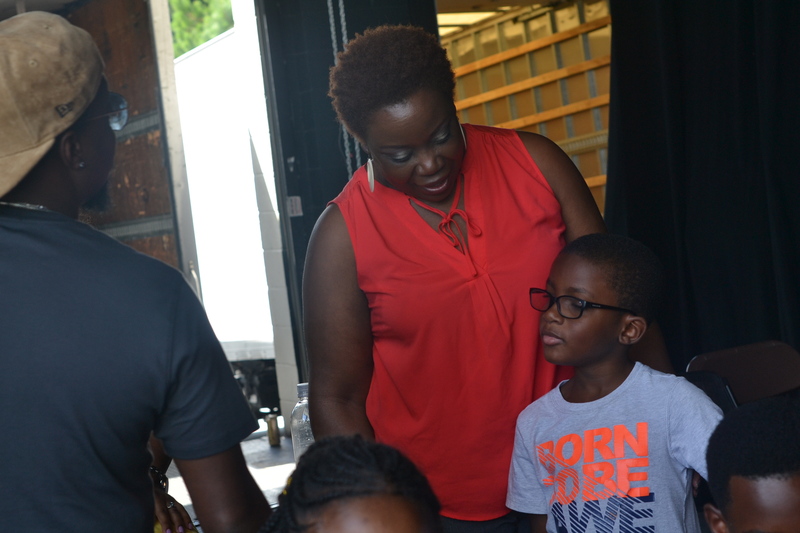 The children got an amazing opportunity to meet Anthony Hamilton’s production crew members and also learn about engineering equipment on site before the concert. 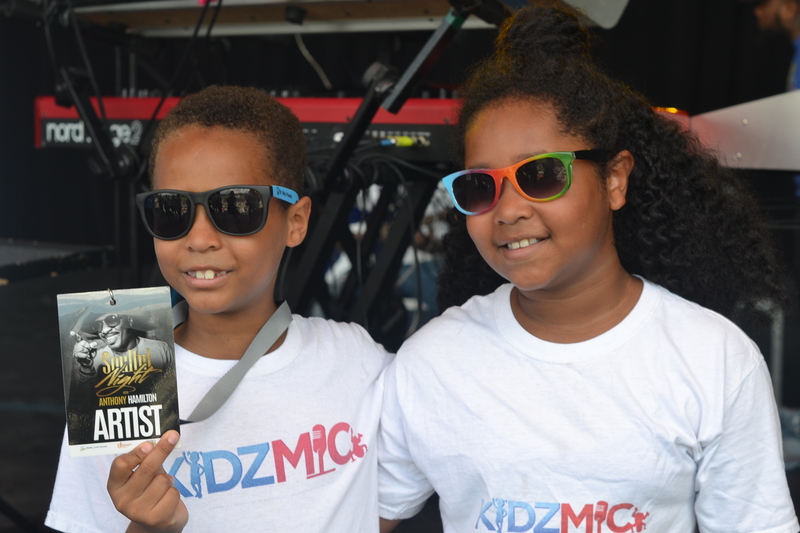 These kids were so lucky, how many children you know get a chance to go backstage and meet with a musical artist production crew before a show? 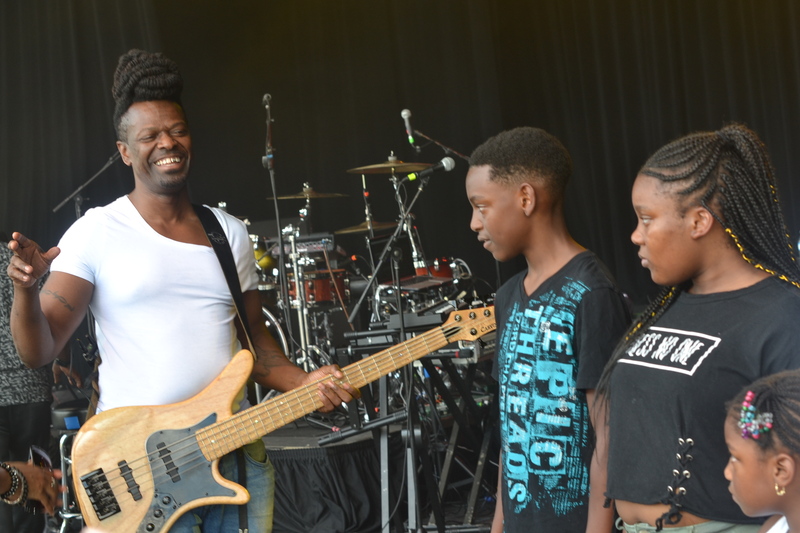 The children met Courtney Taylor, who is the Front House Engineer for Anthony Hamilton. 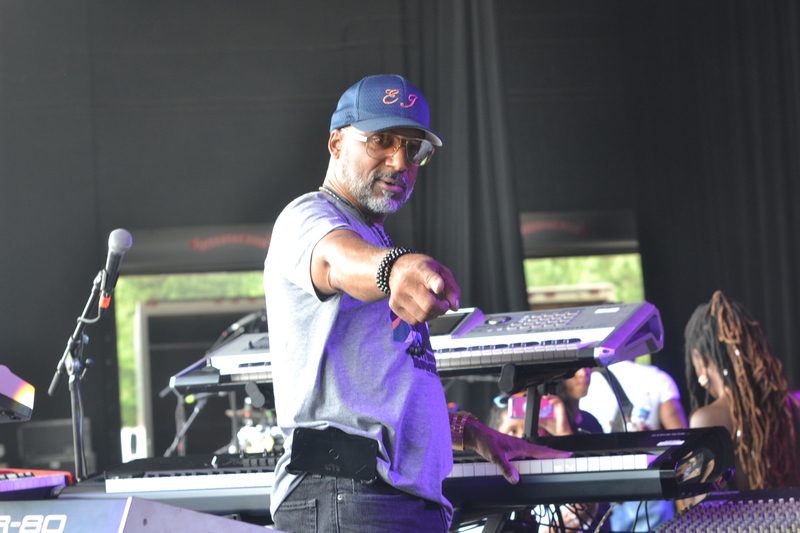 He is known for also working with other musical talent such as Common, Fantasia, Pharrell Williams and has been in the industry for 23 years. Favorite performaces he’s down was in 1999 with musical Group Third World in Ethopia. 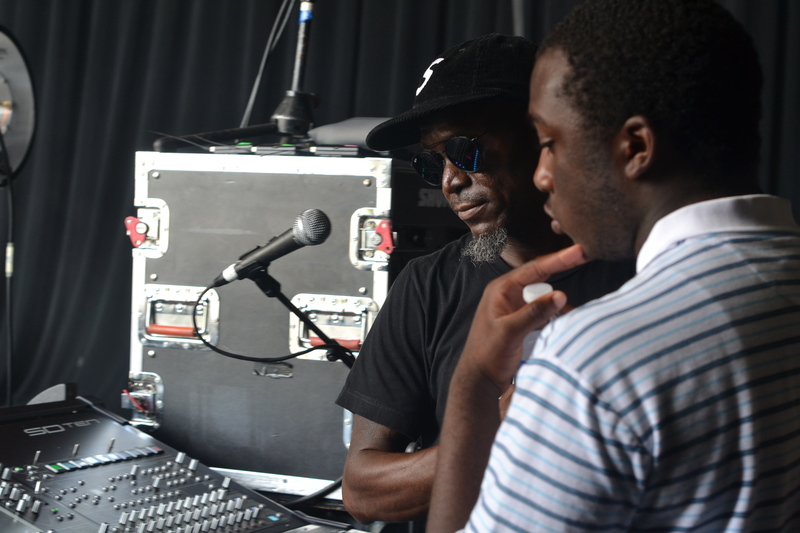 Eric Jones is the Soundboard engineer and keyboard tech for Anthony Hamilton. He showed the kids his equipment and some important information on how it works while doing a set. 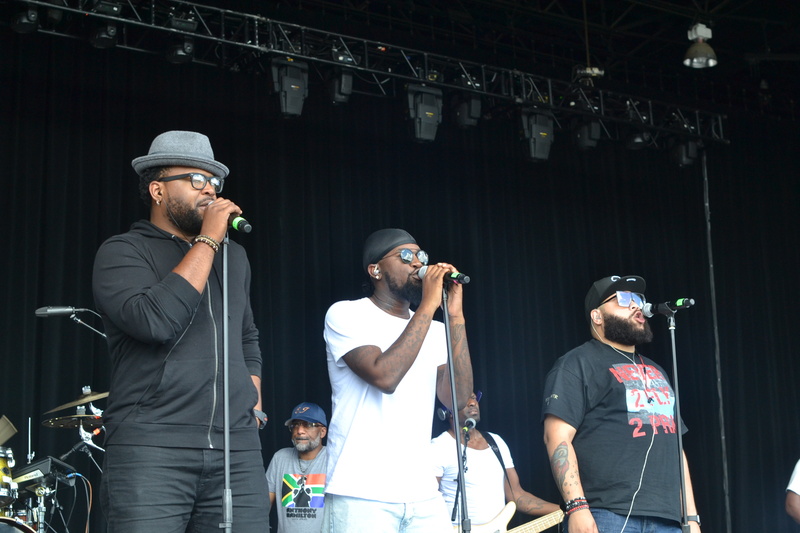 Lemonte is Anthony Hamilton’s bass player. There isn’t a show without him. His bass makes the music come to life! 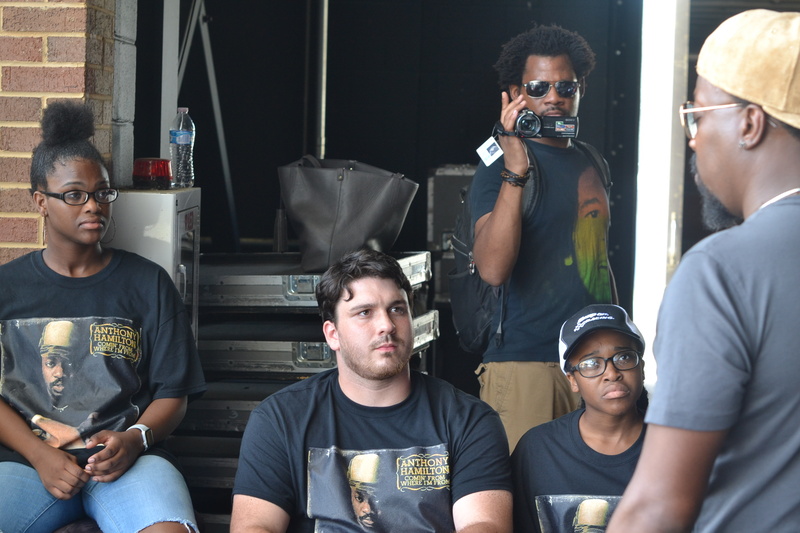 After the walk through and meet and greet with the production crew, we all got an opportunity to listen and watch Anthony Hamilton’s soundcheck. 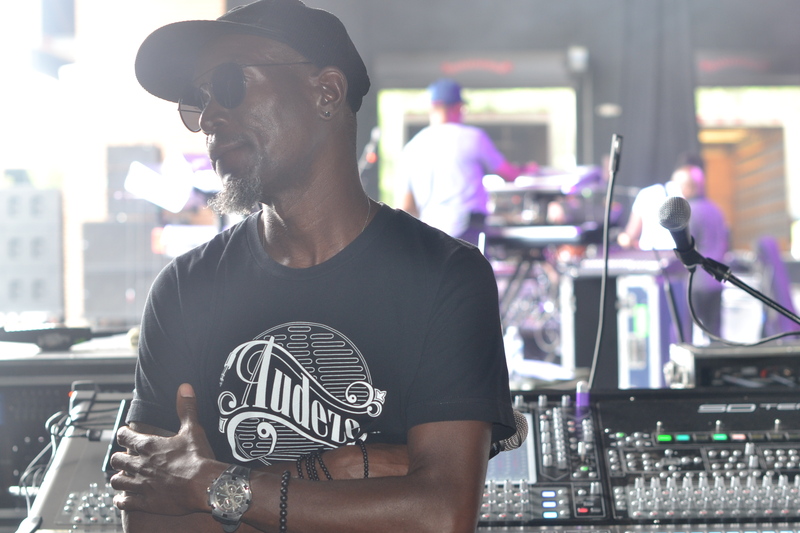 A soundcheck is basically a mini-rehearsal every performer must do before a concert. 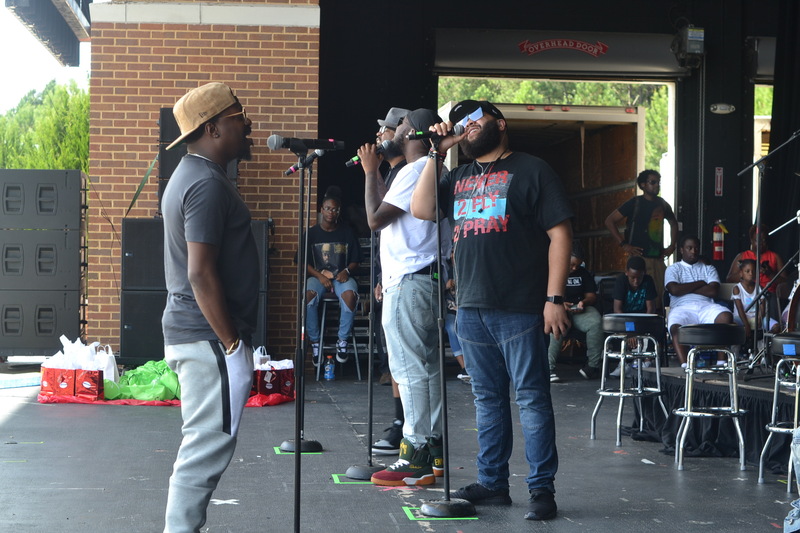 its to make sure not only the artist mic and sound is good, but also all of the production crew, backup singers and band are all in harmony for each concert. Each stage is different and the production crew always have to soundcheck at each concert, because mistakes can happen. This was actually my first soundcheck. 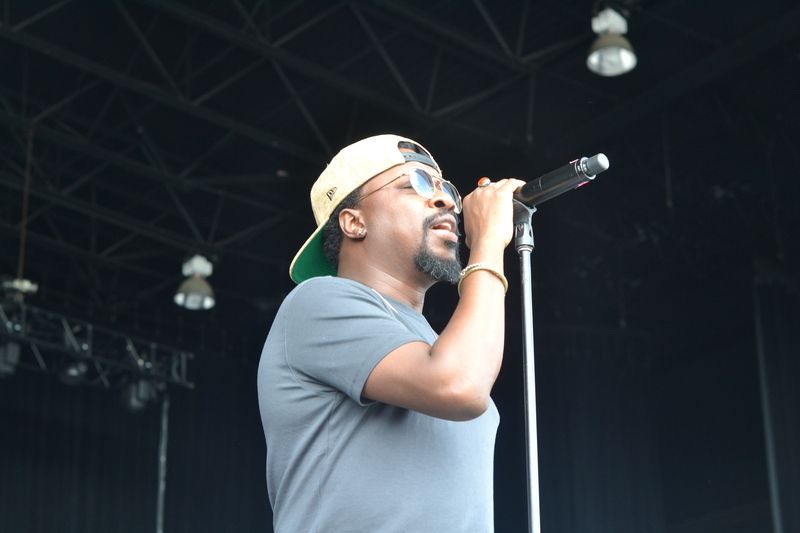 I have done a lot of festivals and been to a lot of concerts, but never watched an artist soundcheck live. It was fun, these kids were so lucky to witness this at such a young age. So everything they learned from meeting the production crew, they can now see it come together live. 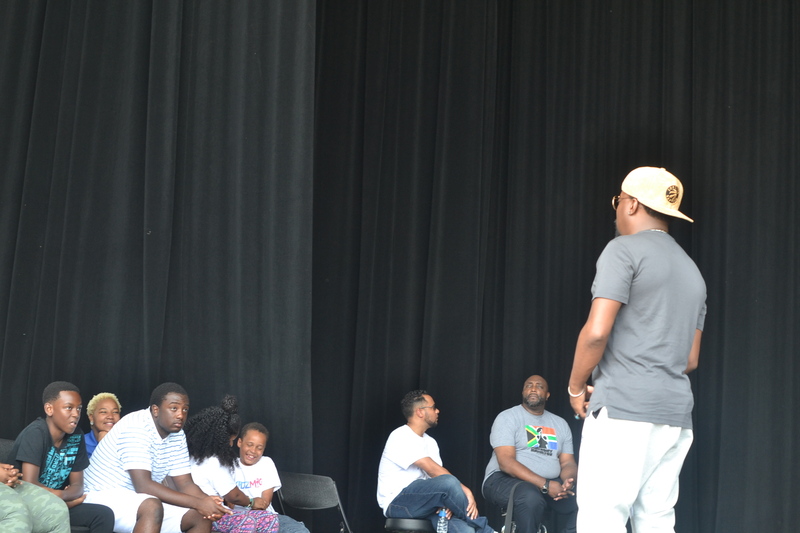 After the soundcheck Anthony Hamilton was gracious enough to take a break for the children and meet them and even answer some questions! How many kids can say they got an opportunity to not only meet a celebrity, but interview them? That is some next level media grooming and I was so excited for them. If I was a kid and I had this opportunity I would of jumped all over this because I have always wanted to be in media. Speaking from experience, you usually don’t get a chance to interview and talk to celebs unless you are already a journalist in the industry. So this was fun as you never know who out of all of the children present were our next media correspondents. Kids I will be passing the baton to you all soon! We are looking forward to seeing – y.o.u.! This looks like an amazing experience? Isn’t it awesome when your favorite artists give back to the community? Sounds and looks like a pretty good concert. I also love it when the celebs give back their time, it speaks volumes about who they are beyond their art. What a great experience these kids had! 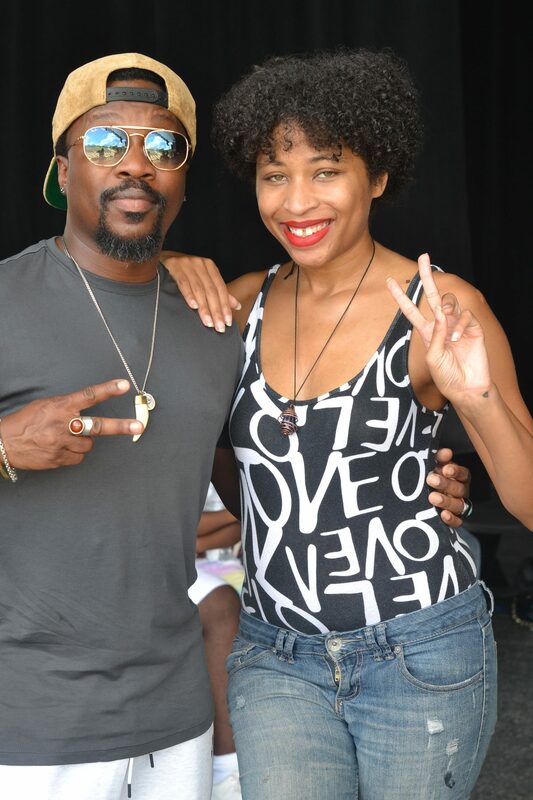 And so kind of Anthony Hamilton to devote time to having them there, meeting them, and answering their questions. It is always nice to see celebrities doing something altruistic. This looks like a fun and engaging experience! More celebrities need to take the time to connect with people like this! This sounds like the concert would be very fun! I remember some of his older music (showing my age here!) Thanks for sharing! It looks like it was a great event. It’s awesome to know when celebrities give back. It would be nice if more followed his lead. Wow, a concert including STEM/Art – that’s epic. Nothing better than learning while having fun. It always warms my heart to see celebs being humble and taking the time to give back to the community. I am sure this is an experience that those kids will never forget! That is so awesome!! 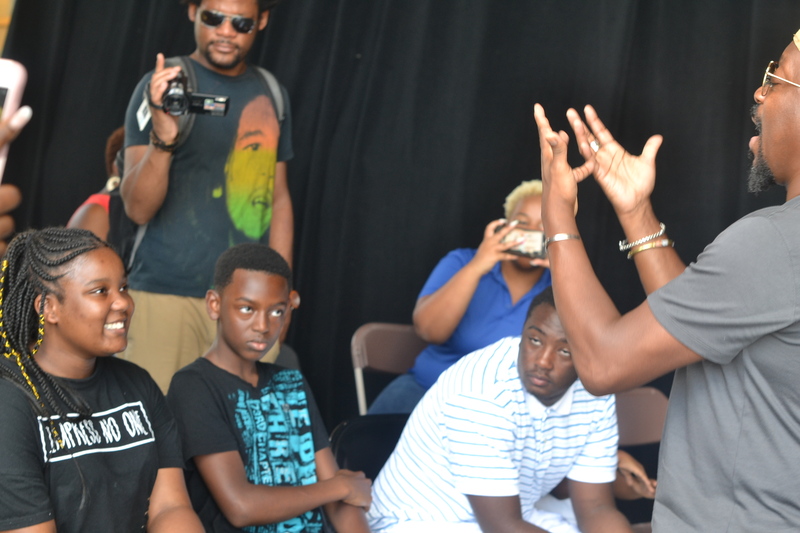 What an amazing experience for the youth! I’m sure it was a wonderful show! I love that he spent time with the kids as well, he’s such a wonderful example. It would have been nice to watch him live! What a fun concert and show I bet it was fantastic! Such a great thing to experience! Looks that you had an awesome day and a really fun experience. This looks like a great concert. I never had a chance to watch a concert like this. The kids look like that they really enjoyed it. That is so nice of him to invite children to his rehearsal and then take time and answer all their questions. Not many artists to this. Wow, what a lovely event for the kiddos and for you. This looks like a one of a kind experience for sure and so many knowledge bombs and inspiration! How fun to experience the concert in such a way. I bet it was so much fun to see what goes into putting on a show like that! This is so interesting and love that you backed up this post with all of the facts about STEM! What an unforgettable experience for these kids! Must have been amazing to experience a concert this way. Hope you had tonnes of fun! What an awesome experience!! I love it when a band or celebrity takes time out for fans! What an amazing experience for those kids, love it! This must have been such a great experience!